Are you planning a bathroom remodel soon? 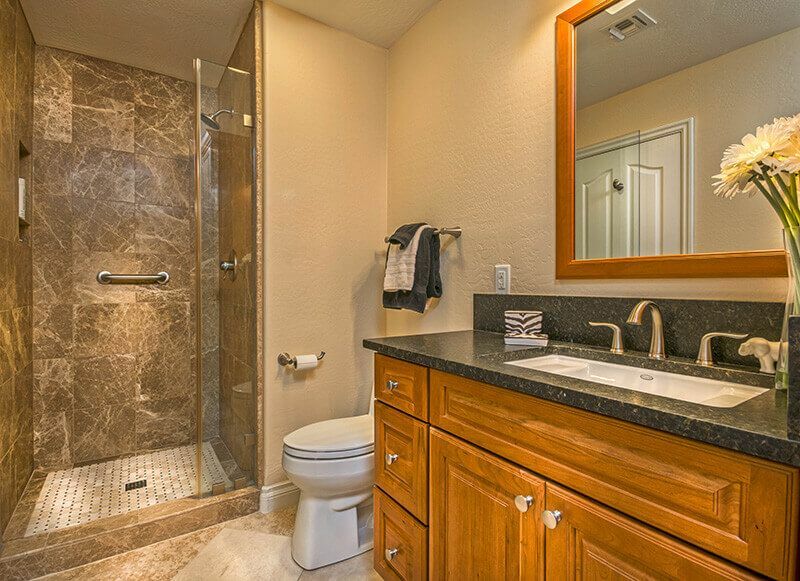 There is nothing like a beautifully remodeled, lavish bathroom to add value and enjoyment to your home. As exciting as it is to browse through magazines filled with bathroom remodeling tips and ideas, trendy fixtures, fabulous flooring, and the latest paint colors, it is also important to consider costs. Setting a bathroom remodeling budget can be tricky, especially when there are particular features or amenities that you want to include. To make the most of your bathroom renovation and minimize unanticipated price hikes or delays, the professionals at Republic West Remodeling recommend creating a bathroom remodeling budget before demolition begins. First, Ask Yourself: Why Remodel Your Bathroom? Your reasoning for undertaking a bathroom remodel should help influence the big decisions and choices you make with regards to your budget, timeline, and overall scope of the project. Luxury bathroom remodels range from investing in major functional improvements, such as plumbing and layout changes to updating the room’s look to match personal style. Remodeling a bathroom to improve resale value can bring a different set of requirements. Before forging ahead, find out which features and finishes are most in-demand in your neighborhood, and get an estimate of the current and potential value of your home based on the latest comparable sales. Establishing a bathroom remodeling budget starts by taking a close look at your personal finances to determine how much you can afford, or are willing, to spend. The scope of your remodeling project can then be adjusted to match the scale of your budget. Consider every inch of space. When planning your bathroom remodeling budget, start by noting the specs of your space. For instance, is it a full bath, half-bath, or a master bathroom? Does the space beg for aesthetic upgrades, or does it require significant changes to the plumbing or layout? Know what areas you want to transform. A bathroom remodel can be inexpensive or costly, depending on what you want to add or alter. For example, do you want to increase the square footage? If so, it can affect your budget. Or, will you be changing the room’s fixtures? To create a realistic bathroom renovation budget, carefully take some time to think about what you want your bathroom remodel to include. A bathroom remodeling contractor can provide a detailed estimate highlighting each of the projected costs and how they break down. Review this list carefully and decide what upgrades you definitely want to include. Remember, the better you can plan costs in advance, the easier it will be to stay on budget. Include a cushion. Even a carefully planned bathroom remodeling project can bring on unforeseen costs; a smart budget can incorporate this possibility. Bathrooms can be particularly complex as they are prone to hidden water issues. According to experts at the National Kitchen and Bath Association (NKBA), homeowners should set aside approximately 10 percent of their total budget for unexpected costs. We often tell clients to try to keep an open mind when it comes to bathroom remodeling. Also, in the case of “the unexpected,” to prepare to adjust plans as needed. With Republic West Remodeling, we assure our clients that their luxury bathroom-remodeling project will be a dream come true throughout the entire remodeling process, from creative design and detailed planning to execution and construction. Contact us today to schedule your complimentary consultation, or download our latest bathroom guide, “Bathroom Remodeling: From Concept to Completion” to learn more today!